Speaking of sacrificing her beauty to look older, she did not mind at all. She explained that she took the film because the script was attractive, at the same time she also liked this character. "This character's strength is despite all the strange things that happen in the house, she still safeguards her son and family. This film is not only a horror film, but a horror film packaged story of motherly love." With a son and a daughter, Ah Chung stated that after making THE LINGERING he was very afraid, so he would treat his children even better. Sing Sing mentioned that he worked with Man Chi Leung previously in the television series GENGHIS KHAN. This time they had a lot of spark. He felt that Man Ji did not change at all from back then. He still was a very hard working actor and his acting was just as good. He lived up to being his role model since the training class. Would he not have time to be with her daughter as he was busy with several movies? Sing Sing said that now the world is very advanced, as long as there is Wi-Fi anywhere in the world can be connected. No one should worry for him. Speaking of Chin Wa because of the film was late to her television series production WONDER WOMEN and upsetting series co-stars like Alice Chan Wai, was Chin Wa constantly late? She said, "I don't have much to say. This type of news constantly appear, actually it's not really real but a little bit is true. Because production time is not exact, if it is just one more shot of course I have to finish it first. Actually I give both sides ample time. Instead I am late to I'M LIVING IT more, I am more on time with the series. With the series I was late only two or three times, the notices were too close. I was late for about 10 minutes. When I knew I would be late I immediately call and confess to Sister Bo Wa!" Chin Wa said that once she really was late to I'M because she could hurt her back and needed acupuncture. "Sometimes we have to wait, why don't those times count? I am better of not mentioning it though, in the end I am able to make two very happy jobs. This is the real focus!" 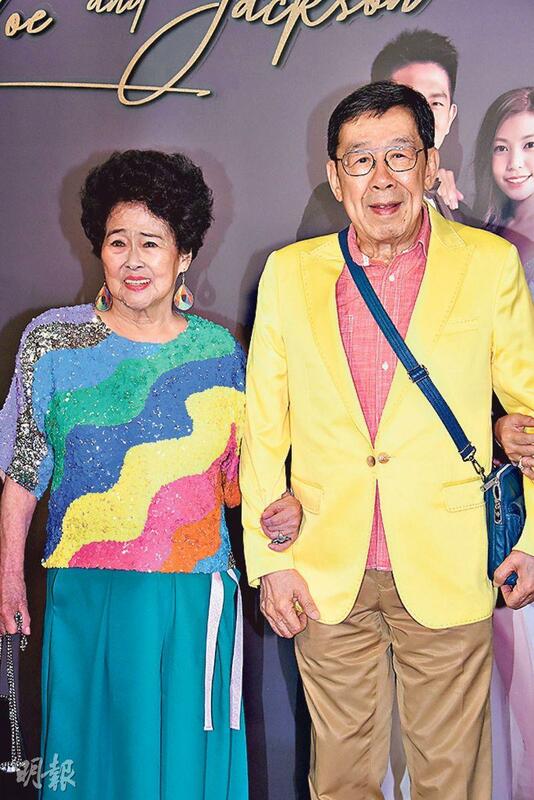 Was her relationship with Chan Wai fine? Chin Wa said, "I don' know why it would be written like this!" Did she feel that Chan Wai was glaring at her? She said, "After four or five months into the production? Earlier it might have been a little more useful. In addition if she only did it now and I just realize it, then I would be a bit 'lame'. Actually I really don't need to respond too much, as long as Heaven knows what happened then it's fine!" The film THE LINGERING (GOO WAT) took place in a hundred year old mansion. Chu Yan played child actor Chan Pak Lam and Cheung Kai Chung's mother. Chu Yan said that during the shoot she often feel chills, thus she did not dare to look around or nap. Due to her religious belief she would not attend the worship ceremony, but under certain situation she would accept lai see. Would she not bring her daughter to watch horror films? She said, "My daughter saw that I had tickets and asked if she could go, I told her it's not for children. She still kept asking, if she found out that I played someone else's mama she would be very upset. Normally I can't even hold someone else's baby. When she sees me like I am being bullied on variety show she would cry. I can't just randomly affect her fragile spirit. (Would you not try for another child?) This depends on Heaven, fate, I can't plan for it." Cheung Kai Chung worked with Chu Yan for the first time, she was even his "goddess". He said, "No one in my generation doesn't like her. We are Performing Art Academy alumni. When I was there she was already very famous. During the shoot my fan behavior came out, I would talk about her work in front of her. I really like her first series ROMANCE BEYOND, which gave me a lot of room to fantasize about." Did his wife Kay Tse On Kay visit the set during the shoot? He said, "No, because the shoot in the remote area would be scary. This film aside from horror also is about the mother and son relationship, and brings out the message of cherishing those around you before it's too late." The film L STORM (L FUNG BO)'s executive producer Wong Pak Ming said that the film made over 400 million in the Mainland box office. The performance was superb. He already prepared for a fourth installment with Louis Koo Tin Lok continuing to be the lead. He felt that Goo Jai represented the Hong Kong anti corruption spirit. 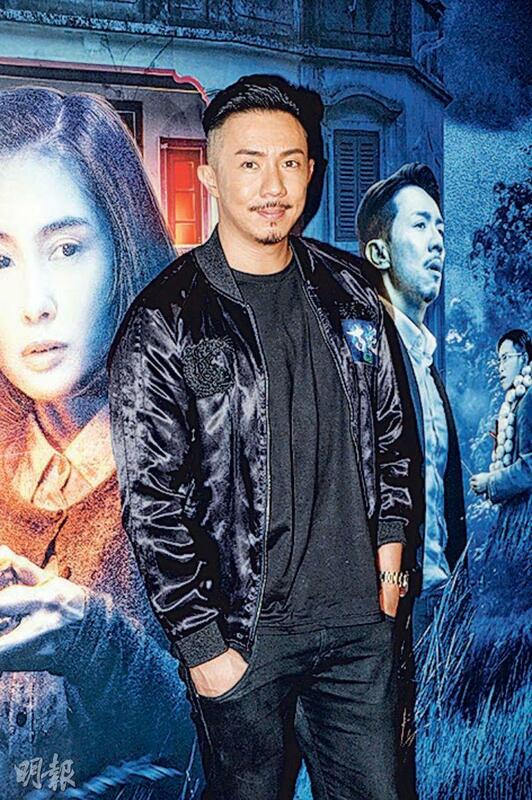 As for OPERATION RED SEA representing Hong Kong to vie for the Oscar Best Foreign Film nomination, he said that he learned about it from the newspaper. Everyone would have their own opinion about how representative the film was. As the Hong Kong Movie Producers & Distributors Association chief director, I don't have a vote so I won't comment. However it is a good thing that Hong Kong has a representative to participate. Raj Batra is a rich businessman from Delhi staying with his wife Mita. They studied in a Hindi Medium school but want their 5-year-old daughter, Pia, to be admitted to one of the top schools in Delhi. Raj and Mita learn from their employee how he got his daughter admission through Right To Education (RTE) quota. In order to get the quota, they have to pretend living in poverty. Could Pia admit to the top school as her parents wish? Jun returns home one night after a hard day to find his wife, Chie, collapsed near the door in a pool of blood. Panicking, he rushes to her side, but then notices a bottle of ketchup nearby. "Tee-hee-hee", Chie giggles in a feigned unconscious state. "Did I scare ya?" When Jun, relieved, demands a reason for her foolishness, Chie can only laugh teasingly. And so it begins. From that point on, every time Jun returns home, he finds her "dead" by different and increasingly outlandish causes. Jun begins to worry when she never really gives him a reason. The film PROJECT GUTENBERG (MO SEUNG) will open on October 4th. The film was a collaboration of the OVERHEARD (SIT TING FUNG WON) golden team Felix Chong Man Keung and Alan Mak Siu Fai. Chong Man Keung wrote and directed this time, while Mak Siu Fai was the art director. 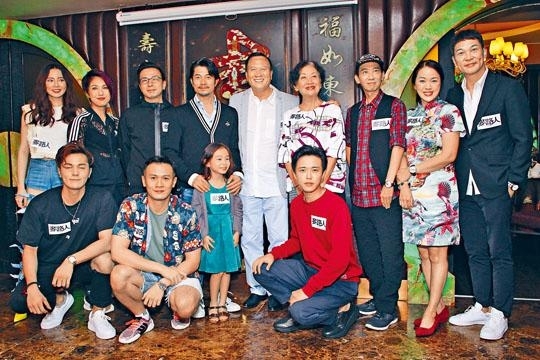 Kwan Chi Yiu joined as the director of photography and Hong Kong Film Award Best Actors Chow Yun Fat and Aaron Kwok Fu Sing starred along with other good actors Zhang Jingchu, Liu Kai Chi, Katherine Chau Ka Yi and others. Two days ago, Aaron with director Chong Man Keung, Mainland star Feng Wenjuan promoted in Zhengzhou and the crowd filled a shopping center. Aaron in the film played Lee Man. "Lee Man is a very poor painter but very talented; this character has a good side but also an evil side. This is a character I have never played before in my show business career." Aaron said that PROJECT GUTENBERG exceeded his Hong Kong Film Award winning performance in PORT OF CALL (DAP HUET CHUM MUI). "I have never seen the script and the story structure like this before. I read the script seven times before I understood this character. On a certain level, PROJECT GUTENBERG is a new attempt for me. I look forward very much to everyone seeing a very excellent film after the film's release." Aaron was very happy to be able to work with Fat Gor and Zhang Jingchu again. "This time I have many scenes with Fat Gor, from the beginning to the end I am at a tug of war with him. Each time in each scene is different. Zhang Jingchu is a very excellent actress. Although I have intimate performance with Jingchu this time, we very quickly got into character. It wouldn't feel awkward at all and I was able to perform at ease." Working with director Chong Man Keung for the first time, Aaron had nothing but praise for this director. "Chong Man Keung is a very excellent screenwriter. Anything I don't understand in shaping the character, he would explain every clearly during the shoot. Although a first I had difficulty with getting into character, but in the process of communicating with the director I slowly grasped the character and understood what the director wanted, what kind of condition he hoped to bring about." The rumor of Ng Kwan Lai's passing began last night on Tsui Yung Yung Culture Office facebook page, a video of Tang Kung Pik talking about Ng Kwan Lai's passing at dusk on the stage appeared. She said, "(Sister Lai) has already passed away. We here sent our condolences to her family and wished that Sister Lai peace in another space. 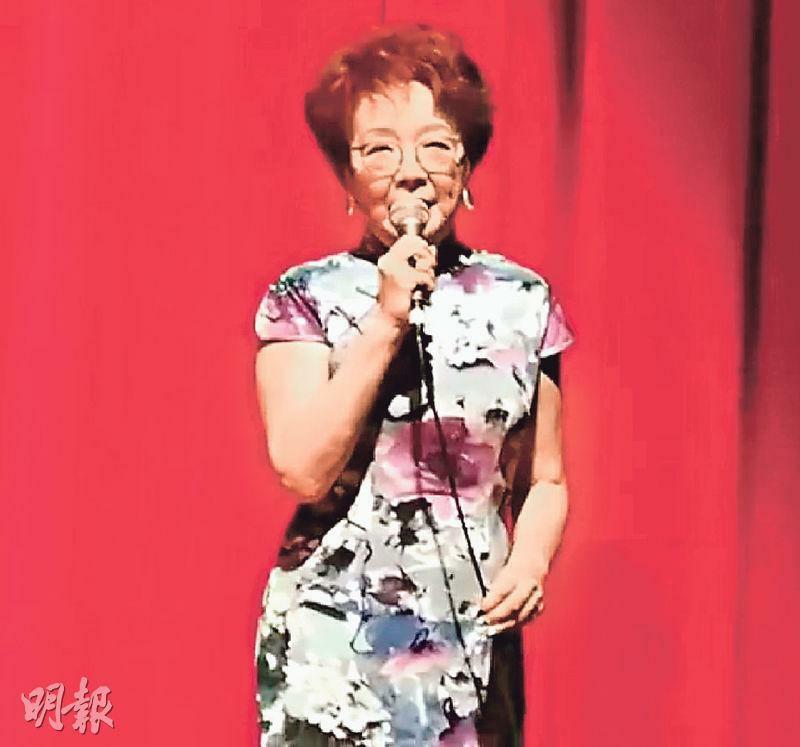 I believe even those who have not seen Sister Lai's performance on the stage, everyone has enjoyed her Cantonese films." Tang Kung Pik made this announcement at opera fans at a Cantonese Opera event. Wu Fung was a frequent co-star with Sister Lai. Brother Sau said that he just heard about Sister Lai's passing. A few days ago he paid her a hospital visit. He said that he saw Sister Lai at the wedding banquet of Sister Ka Yin's son, later he wanted to visit her again but was turned away. Then before the Mid Autumn Festival, Sister Lai's family contacted him, said that she was seriously ill and the doctor said that she only had a few days left. Brother Sau visited on Sunday and said that Sister Lai still recognized him and knew he visited; the next time on Mid Autumn Festival he visited again. Did he said anything to Sister Lai? He said, "I told her I wanted to kiss her, later I really gave her a few kisses before leaving the hospital." 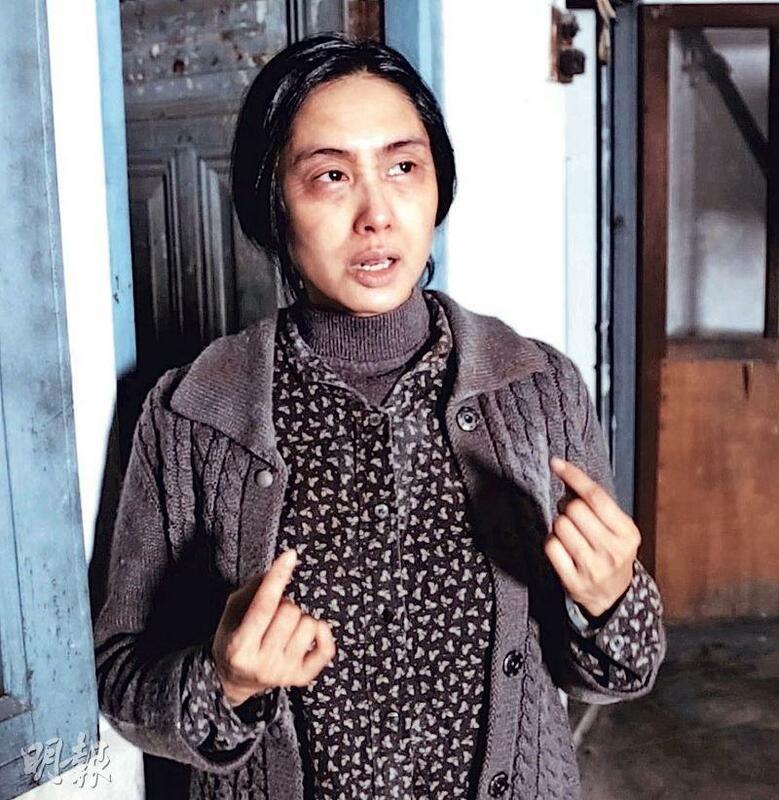 Brother Sau believed that Sister Lai did not suffer and was very peaceful when she passed. He did not know what illness she had because her family was very low key. Sister Ka Yin learned about Sister Lai's passing from the press and did not dare to believe it. "Several days ago I wished her a Happy Mid Autumn Festival on WhatsApp, she still replied to me. Maybe Mimi (Sister Lai's friend) replied for her." Sister Ka Yin said that she has been trying to contact Mimi but has not received a reply yet. Ng Kwan Lai was born in Zhongshan and grew up in Shanghai. Later she came to Hong Kong with her parents. 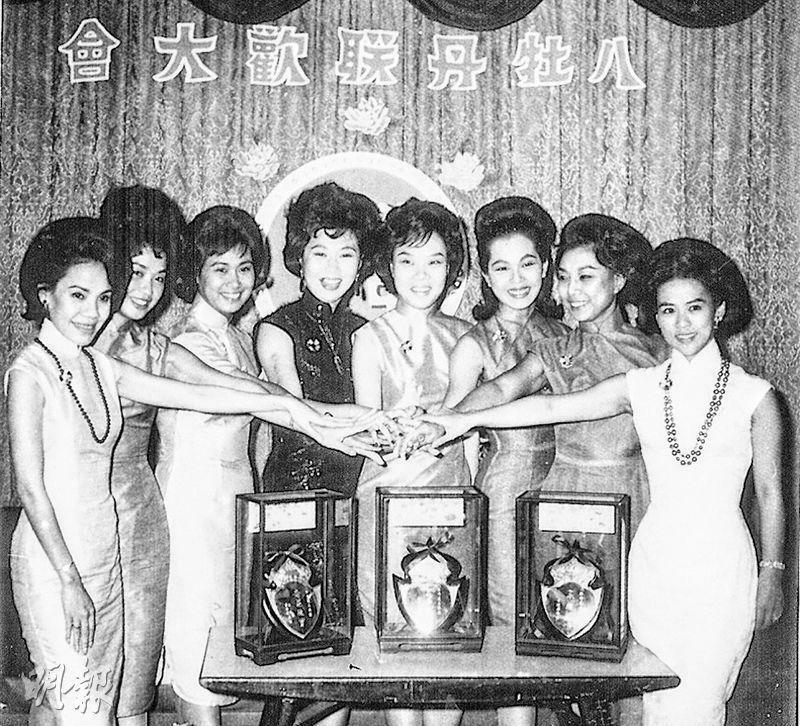 After getting into the business, she with Yu Lai Chun, Nam Hung, Law Yim Hing, Yu So Chau, Fung Wong Nui, Lam Fung and Tang Bik Wan became the "Eight Peonies". Sister Lai was the "White Peony". Sister Lai studied Cantonese opera under Wan Chi Chung, later joined Chen Fei Nung's Hong Kong Cantonese Opera Academy and became Chen Fei Nung's disciple. Known as the "Jaded Throated Diva", she excelled in playing action roles. She participated in over 150 films including Cantonese opera films and modern films. In 1962 she formed the "Sun Lai Sing film company" and participated in film production. 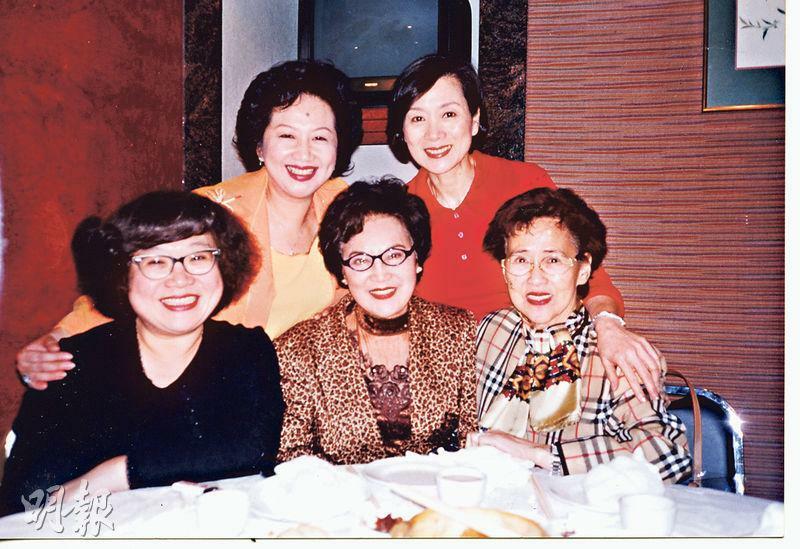 From the 1970s to the 1980s she participated in Lam Ka Shing's "Chung Sun Sing Opera Troupe". 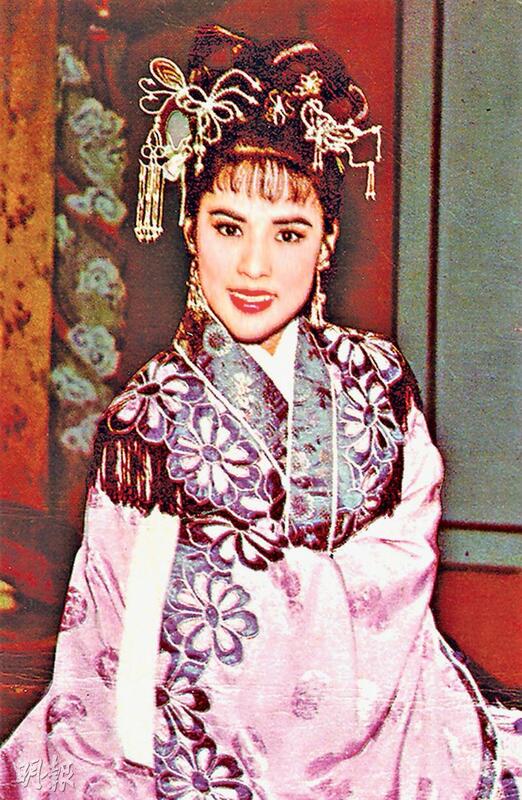 From 1987 to 1993, she, Chen Kim Sing and Sun Hoi Chuen formed Sun Lai Sing Cantonese Opera Troupe and participated in Cantonese opera performance. After her retirement, she lived in Australia and Singapore. In 2008 she participated in the TVB situation series OFF PEDDER. At the time already 78 year old, Sister Lai's still 25 inch waist impressed many. In an interview in 2008, she talked about the love triangle that went on for over 50 years as she became someone else's third party. She said, "I have never wed in my life. My man was married......at the time I never thought about sharing someone else's husband. His wife hurt, I hurt and he hurt, but we couldn't break up." Sister Lai also had a son with her "husband". She said that mother and son had generation gap and claimed that she was a "failed mother". The film GOLDEN JOB made over 240 million. Since both Ekin and Lam Hiu Fung celebrated their birthday in September. Two nights ago the celebration brought out cake for them and sang the birthday song. Cheng Yi Kin gave away his jacket to the audience earlier and showed off his muscles. Ekn said that it was not deliberate. Because the viewer spoke from the heart very well, he gave him the jacket. What if another viewer would be even better? He sad, "First I didn't deliberately take off my clothes, but I really was very happy because the audience spoke too well!" Speaking of Siu Chun being unable to attend audience appreciation events due to work, he stressed that he was not just money hungry. 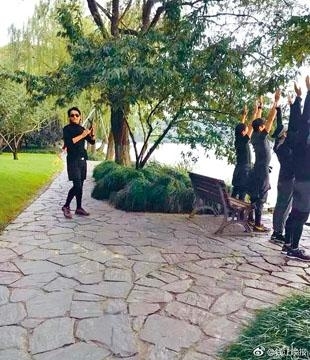 He was busy with song rehearsals for his November concert. Would he invite the brothers to be his guess? He said, "No chance, now I am working on the schedule to see how to stuff them in!" Ekin pretended to be angry and said, "He wants to 'stuff' us in!" Siu Chun explained, "'Stuff' doesn't mean anything bad, just that everyone have different managers and everyone is very busy." How would he thank the brothers for going to thank the audience? Ekin suggested for Siu Chun to strip, Chin Ka Lok wanted to take a commission. Siu Chun asked everyone not to make it all about money. Some suggested for Siu Chun to take the brothers on an European vacation. Everyone asked producer Tsang Chi Wai for his opinion. Chi Wai said, "For Siu Chun, he has so much money he doesn't know how to spend it." He even imitated what Siu Chun's son Jasper said to Siu Chun. "Don't angry!" Siu Chun helplessly replied, "What does the Euro trip have to do with me?" 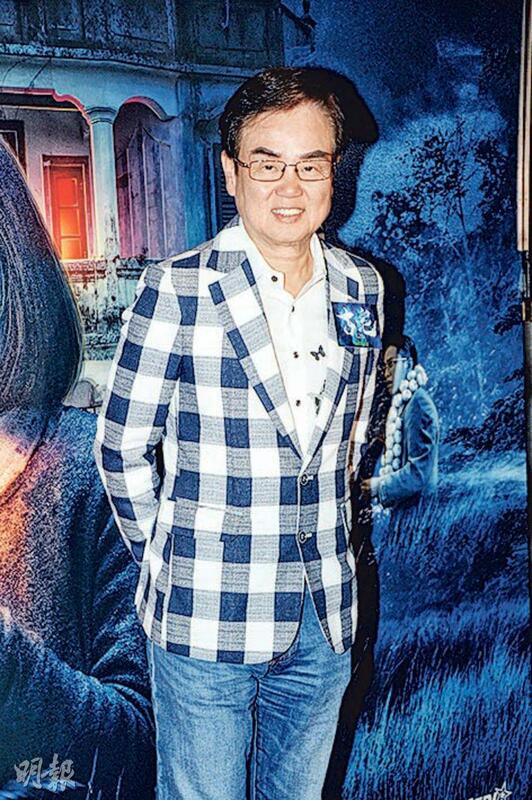 Tsang Chi Wai said about the box office success, "I am very happy, not because how much it made at the box office but because the box office grew everyday. It represents good word of mouth, word of mouth beats everything. I also thank the five of them to go to the moves everyday for audience appreciation. We just went to Yuen Long. Each time our audience appreciation event is a surprise. The audience response is they never imagine it would be so entertaining. They said that they haven't seen such an entertaining large scale Hong Kong film in a long time. They felt that Hong Kong film is back, so each time they were very happy at the audience appreciation events. After that everyone would go for late night snacks together." Speaking of Ekin taking off his clothes for audience appreciation, what would Chi Wai do? He said, "I would take off my pants too, not really!" Jackie Chan, Sammo Hung Kam Bo, Yuen Woo Ping and Yuen Biao praised Chin Ka Lok as their successor, Chin Ka Lok happily said, "I really didn't expect that. For the four of them to praise the same person at once, the pressure is enormous. It was my Mid Autumn Festival, maybe the best gift in my life, I don't know if Chi Wai made that happen?" Tsang Chi Wai said, "The four of them are very tight lipped, it came from them. This prove that they really love you!" As for a sequel, Ka Lok said that Chi Wai would have to be the producer again. Zhang Jingchu and Feng Wenjuan appear in evening wear. Babyjohn Choi Hong Yik earlier received a 14th Changchun Film Festival Best Young Supporting Actor award nomination, which he was happy to receive. He even thanked the Changchun Film Festival, unfortunately he was unable to experience the atmosphere in person. He hoped to have another chance in the future. 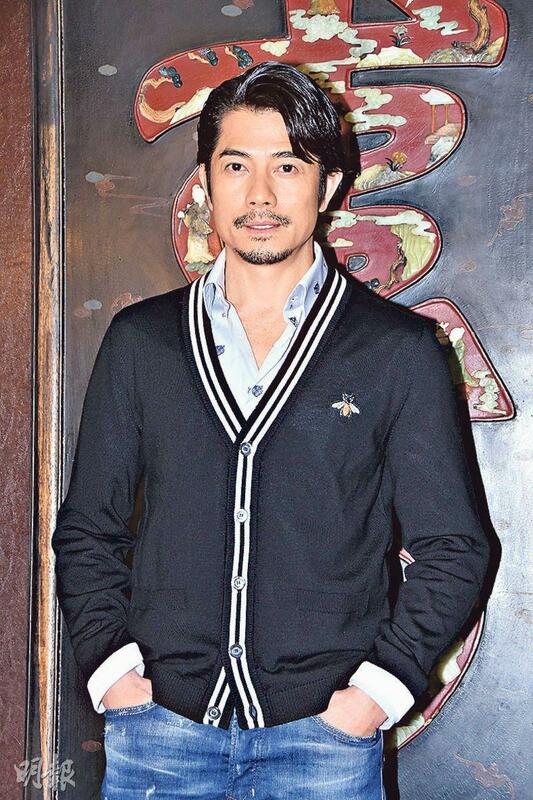 He revealed that in October he will work on the Adam Wong Sau Ping directed new film, "I realize that the director and I both have hearts of young girls. When we met to talk about the script, we both ordered strawberry win and cake. That night we talked for six or seven hours but we weren't done. I believe we will talk again soon." [2018.09.24] PAULYN SUN GIVES AWAY "MONEY"